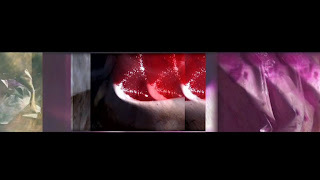 Christina McPhee's three channel video triptych, Bird of Paradise (Christina McPhee 2011) is a stunning silent visual music work, with such visual harmony and balance - a very beautiful work. bird of paradise / channel three from Christina McPhee on Vimeo. It will premiere in a program curated by the Center for Visual Music at LACMA (Los Angeles County Museum of Art), in late July. The program will screen at LACMA through January 2012. Location: Stark Bar, central plaza (new design by Renzo Piano), LACMA. "Christina McPhee�s visual art, media and writings consider site as landscape and language. She develops film and media works that montage remote landscape footage at high � tech energy installations, and in ecosystems where biosphere meets human intervention in �kairotic� spaces. Her drawing practice moves into critical spatial practice in media arts and writing."